The Turkish M16 Visor less helmet is a very rare helmet converted from a German M16 or M17 helmet. Turkey received supplies of M16 and M17's from Germany which were modified with the removal of portions of the visor, sides and rear flared sections of the shell, this left a raw edge finish. 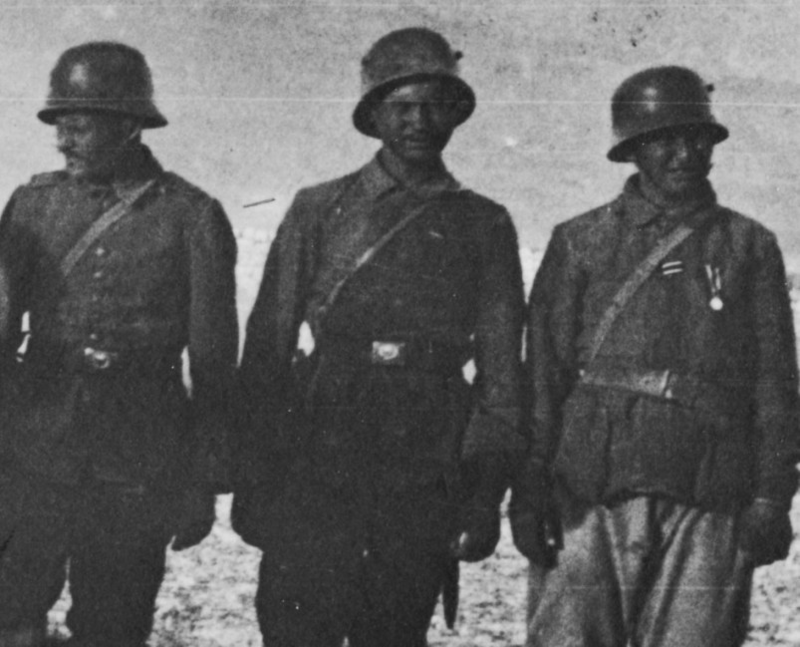 The exact reason for the modifications is unknown and several theories have been put forward with the most likely being an attempt to improve on the German design. 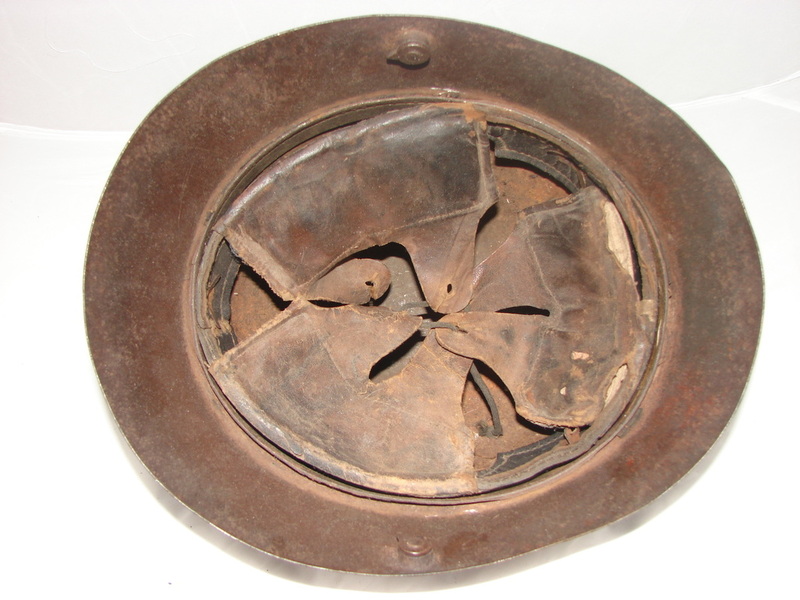 This example has a mixture of liners and liner pins. 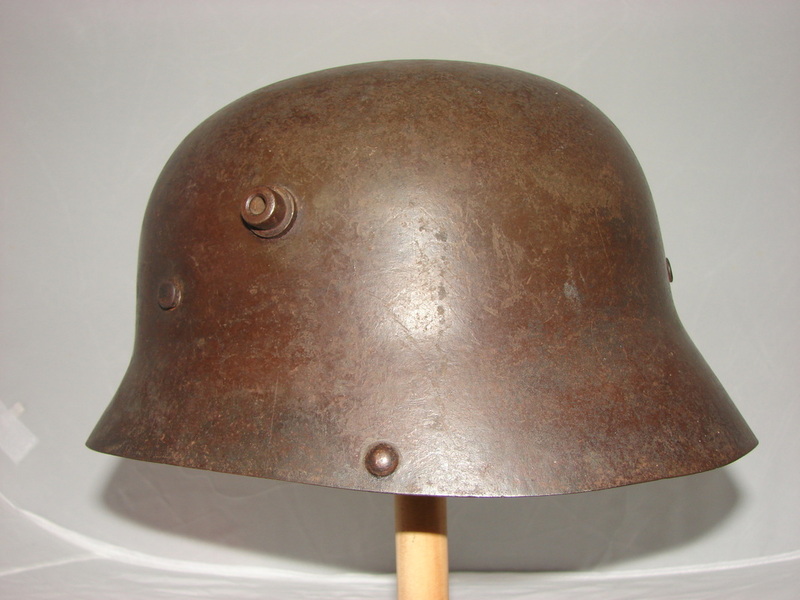 The M17's steel liner band is still in place but a standard leather M16 liner has been mounted, the pins on both sides are the larger square shouldered pins which are used at the rear of all German WW1 helmets for the attachment of the steel brow plate, whereas the rear pin on this example is the flat pin used on the sides of German helmets. 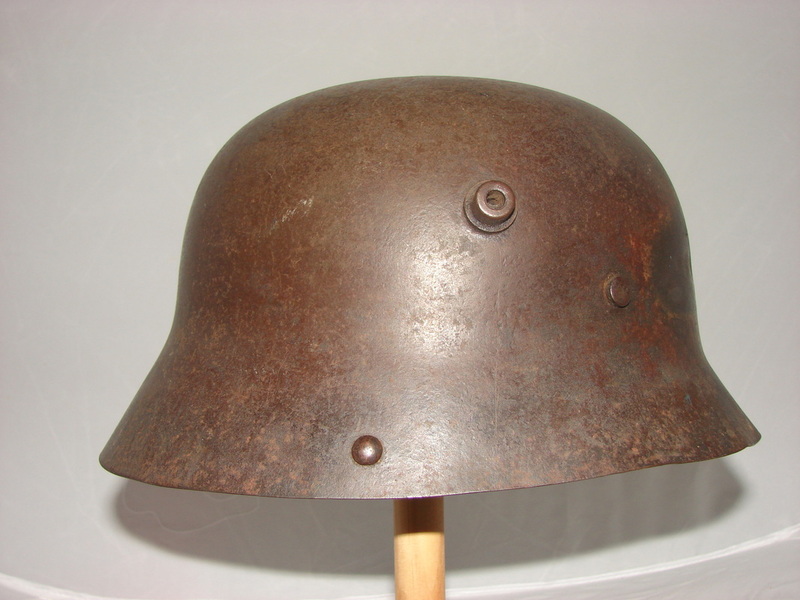 The brownish colour is unique to these helmets. 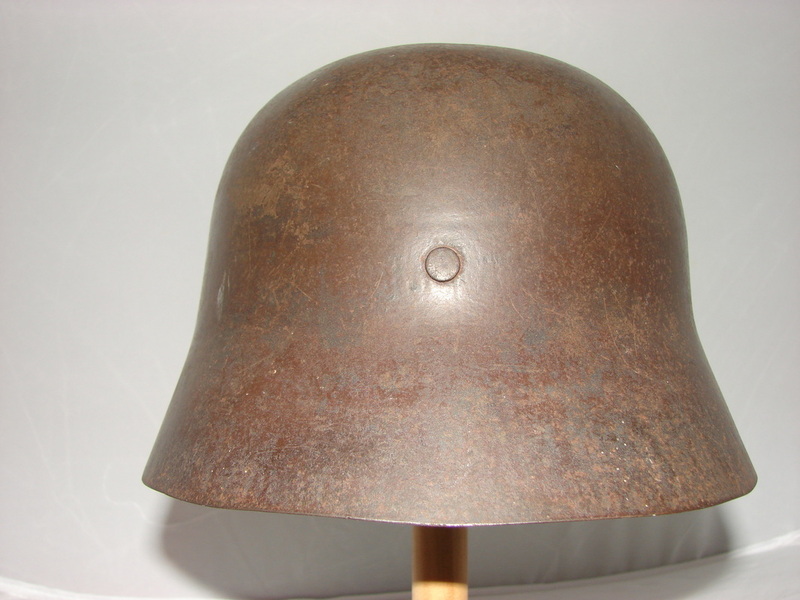 For more information on this helmet type refer to the following web link, this helmet also appears on this web site.